Instead of another comics post, folks, it’s time to switch gears for our weekend to another topic near and dear to many comic fans out there: video games. For many out there, your Sega experience begins and ends with one system: The Genesis. But for some of us, we were rawkin the Sega several years before that system hit the market. That’s right, we were part of a small minority of US kids that had The Sega Master System. Even though a technically better system in terms of graphics and sound, the SMS was crushed under Nintendo’s boot early its history due to poor advertising and the lack of big money games. I remember getting mine the Christmas while I was in the 4th grade. For months I hounded my parents to get me some new video game system to replace to struggling old Atari home computer. And typical of me, I was torn between the Sega which looked flashier and the Nintendo which all my friends had, so I flip flopped back and forth. Ultimately, my parents made the decision to go with the Sega for the reason that it looked like a better made system. 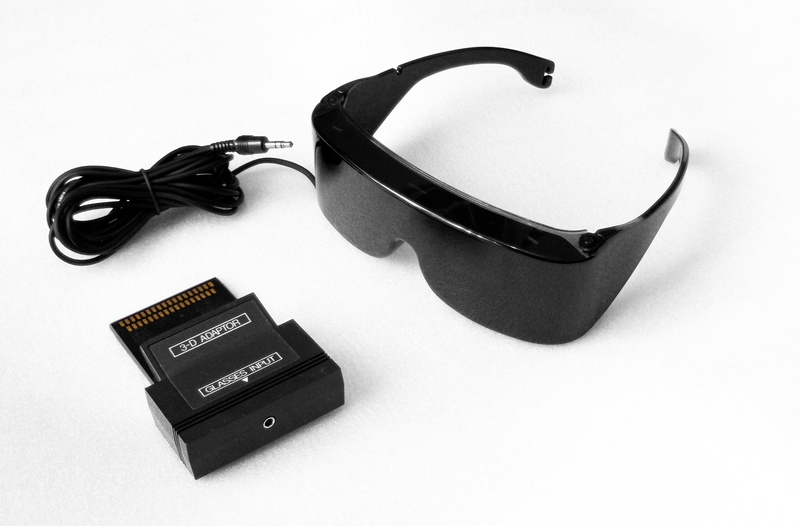 I mean it came with 3D glasses..for 3D games! Say WHAT?!? That’s fresh even by today’s standards. Unfortunately, this was also the beginning of the decline for the SMS as it really started to get pummeled by the Nintendo in the year to follow. So although I was happy with my SMS, I was only kid that had one at my school, and as others talked about Zelda…well…I didn’t. For the record of all of you that had the Nintendo, yes, yes, I did eventually get one of those too. So I did get to play Contra and such. In fact, I’ll list my top 5 Nintendo games at a later date. This was my Super Mario brothers, and I gotta say this is one instance when compared, Alex Kidd is much better than SMB 1. 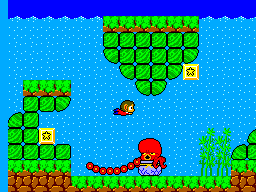 Instead of just a fire flower and invincibility star, Alex Kidd had an arsenal of weapons from power rings to pedalcopters to a motorcycle. Additionally, you were following a complete story in Alex Kidd, with a variety of different types of stages to play, instead variations of the same stage over and over with a princess less castle at the end. If there’s only one game to play from this system, it’s this one. Yes, you got to ride a motorcycle. No, Mario didn’t get to do that. This is probably the best translation of this arcade classic and acts as a testament of how if only arcade developers had signed on with Sega instead of Nintendo, there would a good deal better 8 bit translations. 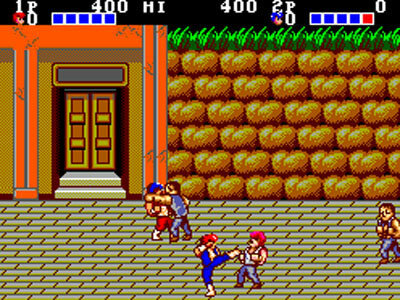 The main reason this game is a better translation than Double Dragon for the NES is the simple fact that you could play two players on the SMS version unlike the NES game. And playing Double Dragon two players was what you wanted to do with this game..it was the entire point. Co Op gaming was fairly limited at the time so any game you could play with a buddy was gold! My cousin, JA and I, played the crap out of this game. This was somewhat like my Metroid, but not quite. The original Zillion better fits the bill as being a game that could be compared to Metroid, but I didn’t have that game growing up. 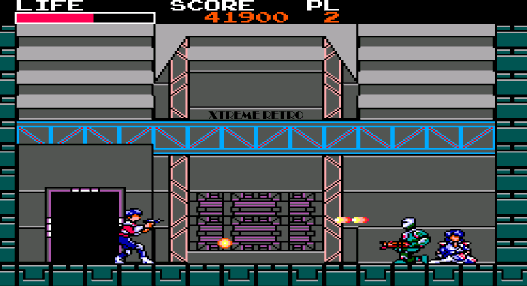 Zillion II is more or less a strict action shooter, with the odd numbered stages spent shooting things on a motorcycle that can also turn into a set of Mech armor, and the even numbered stages spent on foot like in the picture below. I do know that I played this game a ton however as it was the first real game I got. I wished and still wish that the Even numbered stages were the entire game…cause man did they play awesome. If only the entire game was like this…not every other stage. I know that Phantasy Star is missing from this list as it’s usually included in all time SMS lists…but I never really played that game. That was all my brother, Dave. 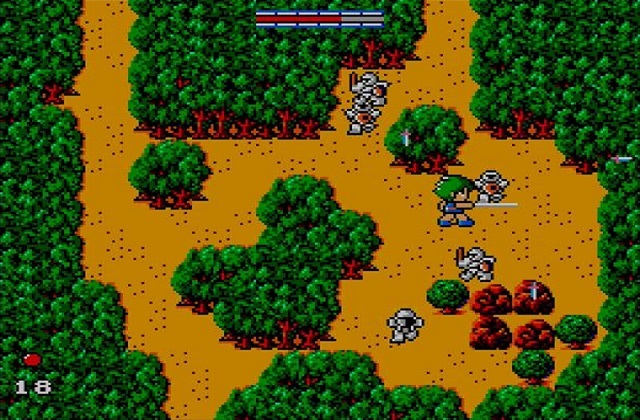 But looking back I feel very lucky that I got to experience the Sega Master System and these truly great games. If you’ve never got a chance to play them, I recommend getting some of these games and trying them out for yourself. They used to have a couple of these games like Alex Kidd available pretty cheap on the Wii Virtual Console, so maybe eventually the Switch will carry them. 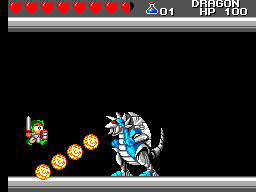 I also think they recently released an updated HD version of Wonder Boy 3…hmmm…maybe I need to pick that sucker up. It looks pretty crisp! Sure, I’ll Join the Dark Side. Not! This Week On The Road To Rusevmania!